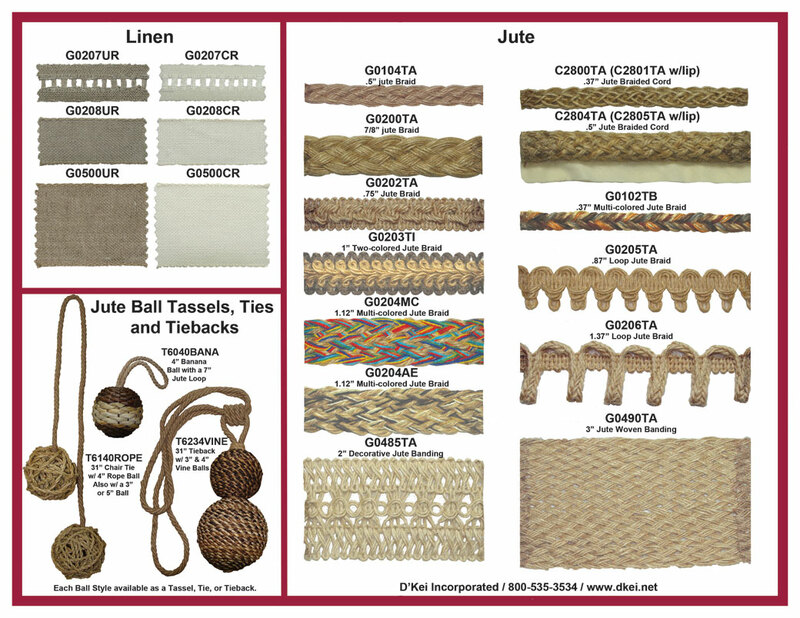 Add some flare to your next top treatment or upholstery project with trims by D’Kei and Award! 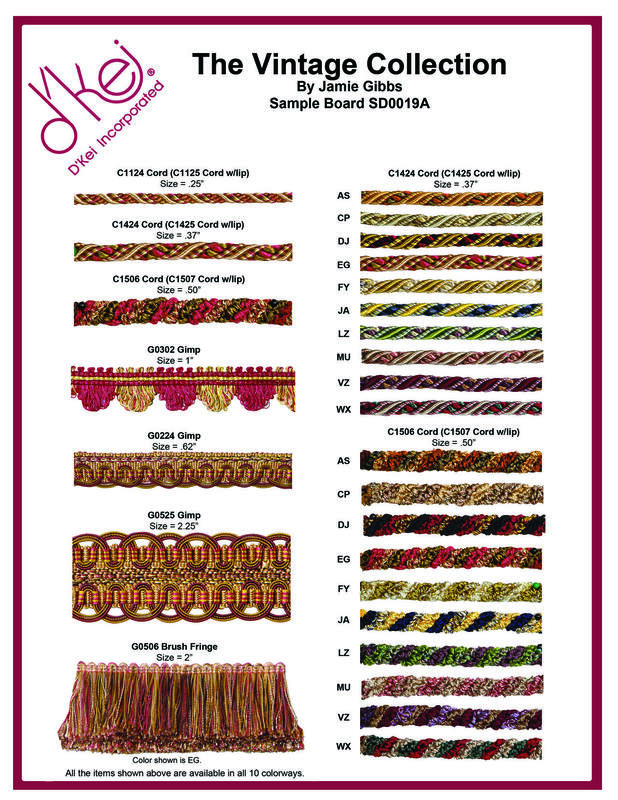 For more information about trims by D’KEI give us a call and we will send sample books out to you! 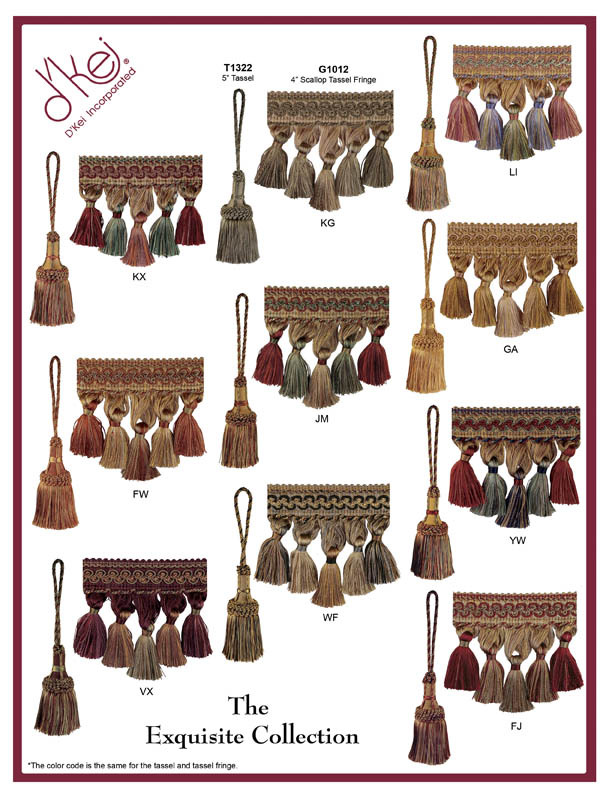 For more information about Award Trims give us a call!